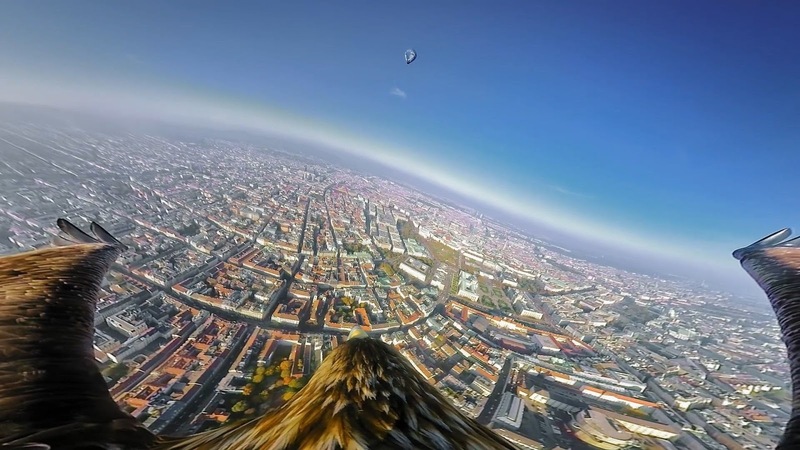 The Vienna Tourist Board sent eagles up into the skies to capture footage of the city from above. Now online, travel fans can watch it using VR goggles and experience the capital in 360° just as the eagles caught it on camera. In the first half of 2018 Vienna established a new record of 7,223,000 visitor bednights (+4.1%). Fritzi, Bruno, Darshan and Victor took to the skies on behalf of the Vienna Tourist Board, taking off from the top of the Danube Tower and a hot air balloon launched from the grounds of Palais Schwarzenberg. They were kitted out with 360° cameras and 16:9 format cameras on their backs. The eagles circled above the city capturing bird's-eye views in stunning 4k resolution supported by the production company Red Bull Media House, who were brought on board to give the Vienna Tourist Board campaign wings. "The project was a world first - never before had eagles wearing 360° cameras been used to capture footage of a major city," explained Norbert Kettner, CEO of the Vienna Tourist Board. It goes without saying that all the necessary animal welfare clearances were obtained before starting the project and none of the eagles - wearing lightweight cameras - came to any harm during filming. From January to June 2018 Vienna established a new record of 7,223,000 visitor bednights (+4.1%). Vienna's ten strongest source markets include Austria, Germany, USA, United Kingdom, Italy, Russia, Switzerland, France, China and Spain. Copyright: A Red Bull Media House production commissioned by the Vienna Tourist Board.